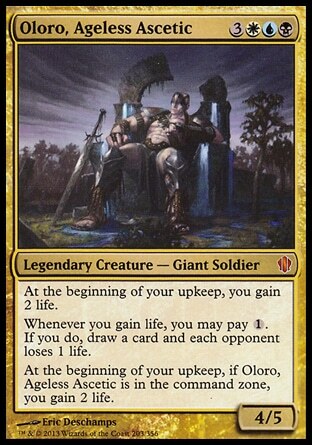 The format has never seen the likes of Oloro before Commander 2013. We now have a general that you can build around without having to worry about it costing to much, getting tucked, stolen or otherwise shut down. He just chills in your command zone on his castle lay-z-boy waiting for you to do something productive. The entire time he is boosting your life total by 2 every turn. 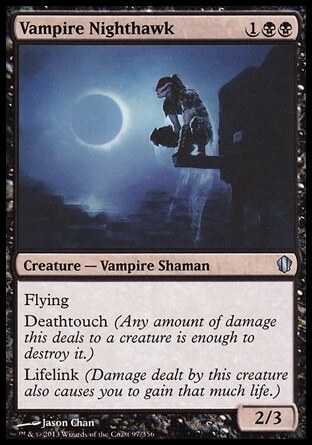 You can feel free to commit cards to his life gain trigger without ever worrying about them being dead. 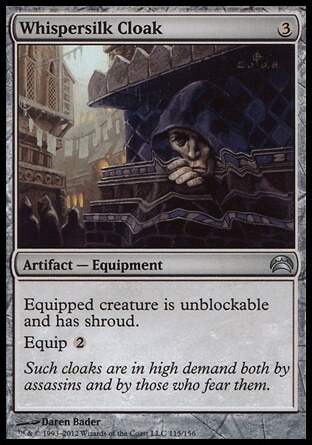 It is possible a card like Havoc Festival could shut him down, but in most games he’s going to do as he pleases. I think one of the major pitfalls people run into when building around life gain is the desire to gain tons of life and pump your life total to astronomical levels. It may seem like you are near invincible when you hit 150 life, but that can quickly melt away if someone can generate infinite damage or creatures. That isn’t even accounting for the fact you can still lose to a measly 21 general damage or even more insignificant 10 poison counters. 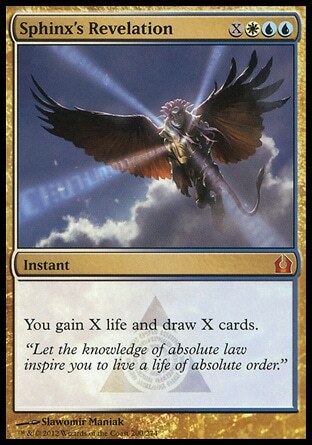 With Oloro I think we can do something a bit more entertaining than inflating our life and then dropping a card like Felidar Sovereign. We want our life total to be a resource and not a just a limited win condition. 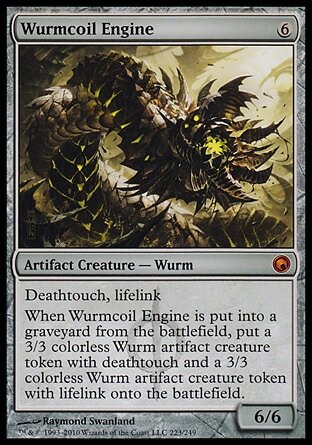 For this article I’m not going to dig up long lost tech from an expansion set that possibly never existed. If you are fairly new to the format, here are some recommendations I have that will slot in nicely to the precon. Most of these cards are fairly recent releases, so you should be able to pick away at acquiring them through trading without too much trouble since they will be appearing in trade binders with regularity. Cradle of Vitality and Well of Lost Dreams are both quite strong in this deck, so they are definitely staying in. 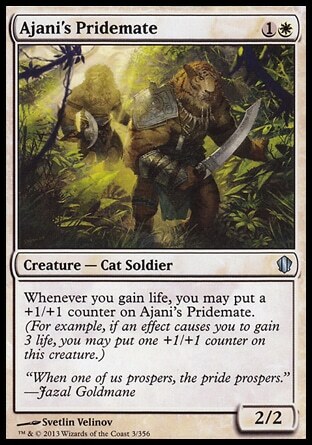 From my testing I think even Ajani’s Pridemate is playable since it can usually come into play without really attracting much attention. For only two mana he has the chance to grow pretty large if you can put some protective equipment on him. Hey, what do you know we are in white, which has no problem fetching equipment. I have found that Sun Droplet is a solid performer as well for only 2 mana. 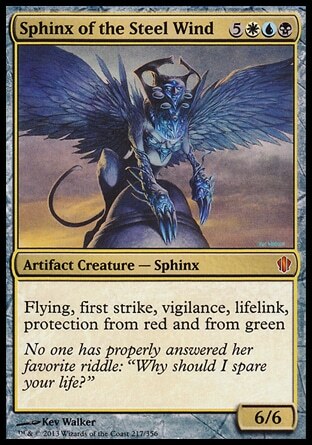 Archangel of Thune is still in standard, so she might be a bit more expensive to acquire at the moment, but if you have one she is pretty much an auto include here. Drogskol Reaver is basically going to serve as our Consecrated Sphinx for this list. 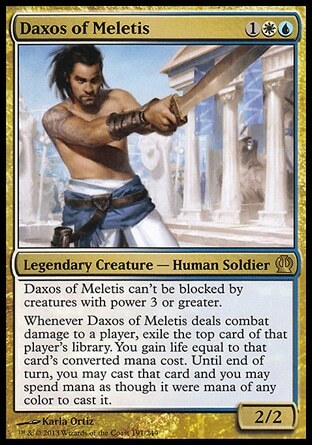 If you can protect him for a few turns he should net you some decent card advantage. 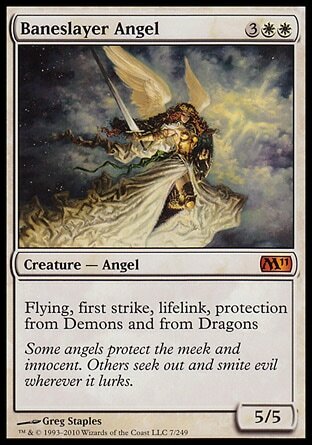 We also have another M14 card, Angelic Accord, that should reliably be putting a 4/4 flier into play each turn for us. That is quite a few five drops I’ve listed so far, so you may want to consider trimming a couple depending on what your final mana curve comes out as. 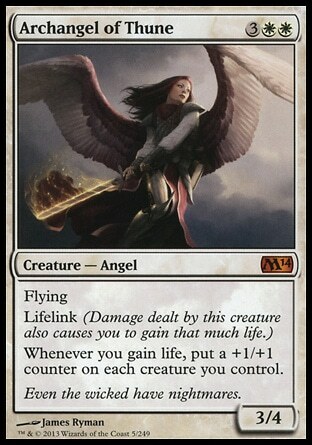 Also, some cards like Blood Baron, Baneslayer and Batterskull aren’t exceptionally cheap, so you may want to sub in a card like Battelgrace Angel which will do a fine job as well. What do we do with all this life? 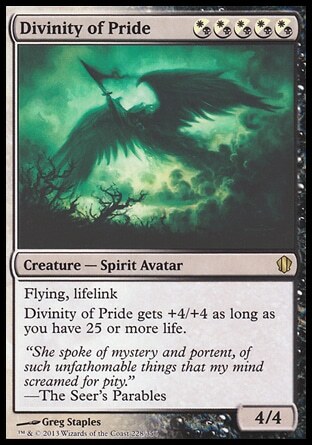 Slapping down an “I win” card like Felidar Sovereign or Test of Endurance can be effective, but I think we want to have more style in this deck. 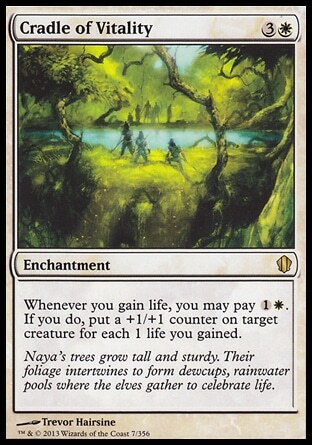 Serra Avatar and Storm Herd both give us a way to deliver beats from the life gain that we have been fueling all game. Serra Avatar needs a little bit of help to be effective (more on that in a bit). 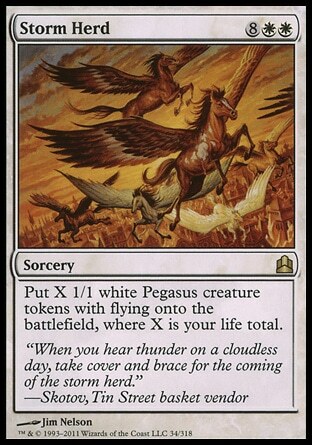 Storm Herd can give us a large token army to swarm our opponents in the late game. 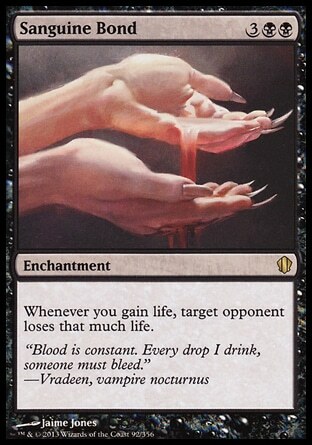 Sanguine Bond was packaged with the precon and does some serious work. 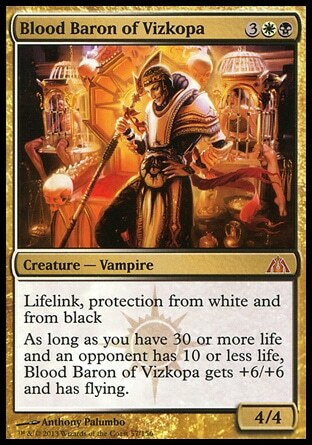 I threw Exquisite Blood into my Oloro deck to as another win condition when combined with Bond. 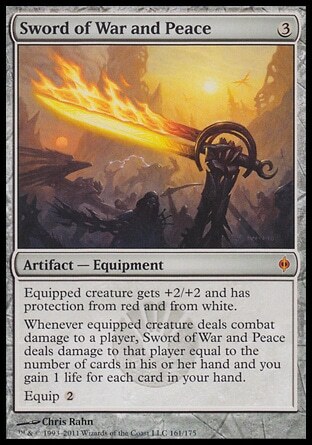 Sword of Vengeance is another equipment you could slot in if you don’t have access to the SoWaP. 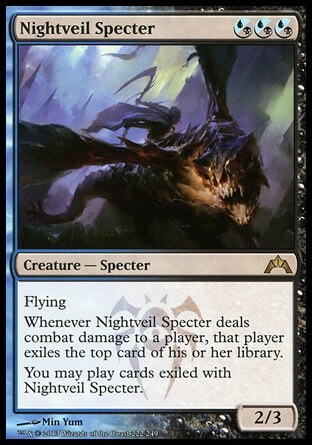 The idea here is that we want to give our creatures some extra evasion. 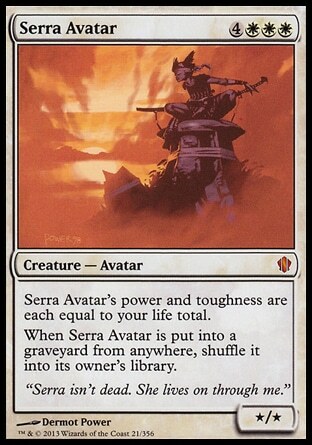 Serra Avatar is a bit fat fatty, but at its core it’s really just a big fat vanilla creature. It needs a couple other flavors thrown in to make it connect FTW. 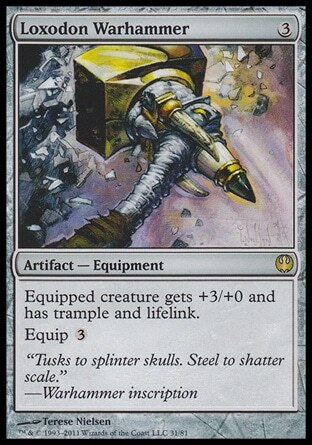 Our mystic also fetches Batterskull which is a great card to have around for our mid game. What about our early game? 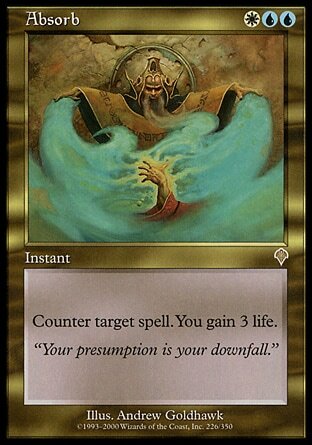 Augury Adept comes packaged with the precon as well and might be worth keeping in the deck. 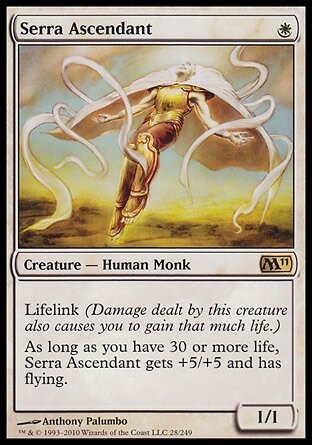 The adept, like Serra Avatar, needs a little boost in order to be able to connect and if you decide to run a similar equipment package as above, she can do some work for you. 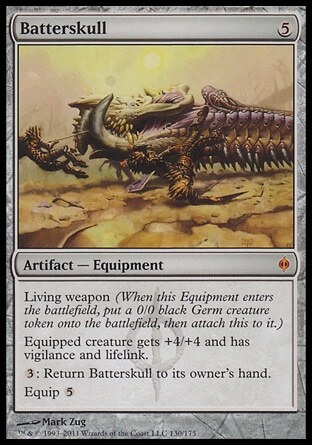 These types of creatures should be able to give you some early game pressure while keeping the cards coming to set up a mid game Batterskull or Divinity of pride. This gives us some great cards to add the core of the precon deck. 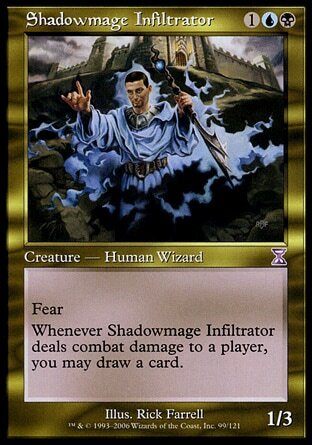 A lot of cards were released fairly recently so they shouldn’t be too hard to comes across. There are no odd ball Legends cards in here no one has ever heard of, but still manage to cost $40.00. To flesh out the rest of the list we can add in our removal, and counter spells and utility cards. Feel free to toss in cards like Absorb and represent Invasions like a boss. 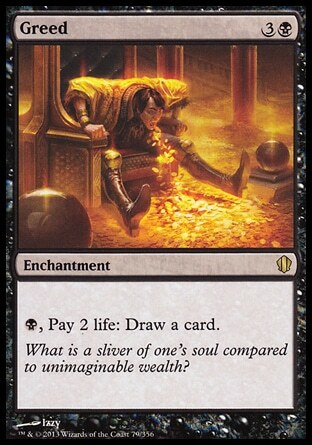 Its not really worth the investment to gain life for the sake of gaining life, but when its tied to a handy utility spells, why not add it in? 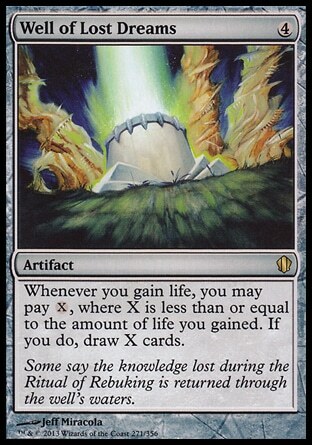 You can check out card databases for spells that give you a handy utility effect + life gain if you so choose. It’s always smart to include a few sweepers as well for when things get out of hand and I’ve found Merciless Eviction is quite good. The exile clause really puts this one over the top for me. Necropotence is a fine choice as well if you want to start digging through your deck and gathering the pieces to your victory. Revelation is currently an expensive card, but hey if you have one you cracked during a draft this is a great deck to toss it into. Otherwise it should be much easier to acquire in a year or so. 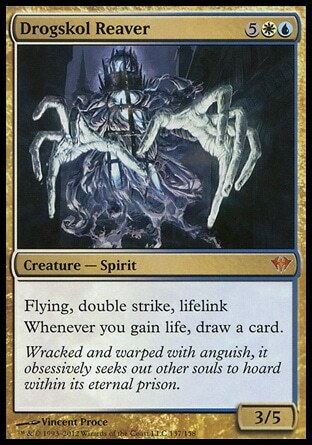 Esper gives us the tools to make a very competitive deck. 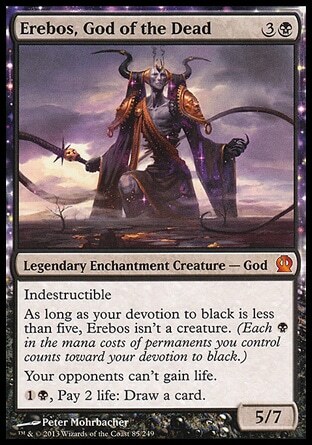 It also helps the the esper precon included a lot of very solid cards to build from. I have found that even Pristine Talisman carries its weight. With a few tweaks, such as removing the artifact subtheme, you can add some fairly current cards to really make the deck gel. So sit back in your castle lay-z-boy and smash some face.